It is the middle of January, but Our new 30’x100′ foot hoophouse full to bursting with plants. That hoophouse, plus the tunnels we purchased last fall, will help us grow more vegetables early and late for the CSA — plus boost our maritime summer for quintessential summer crops like tomatoes and peppers. 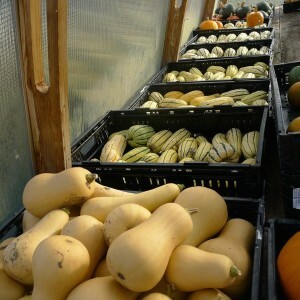 The walk-in cooler now dominates the part of the barn we call the command center, which is where we pack the CSA. We expect that this new cold storage will help us deliver produce in even better condition, especially helping lettuce on hot summer harvest days. The CSA packers in action. Hot summer harvest days seem far away, but they will come, and when they do we are excited to invite CSA members to hang out on the farm on CSA pick-up day and enjoy pizza from our new wood-fired oven. 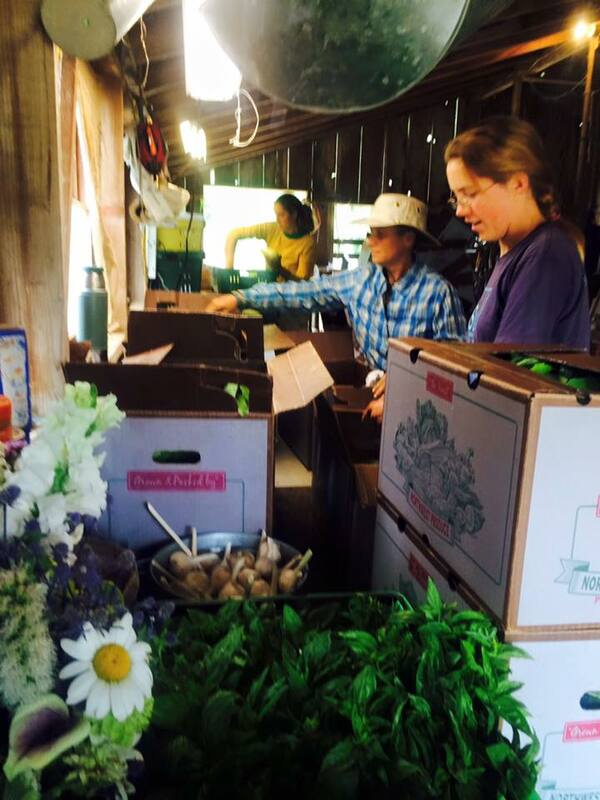 Sign up today for the SkyRoot Farm CSA and receive a weekly box of awesome produce from May to November, plus our weekly newsletter with stories from the farm, recipe suggestions, and, often, poetry! 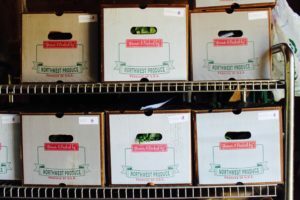 Each box contains 8-10 seasonal produce items, a mix of salad greens, root crops, herbs, and fruits (from apples to zucchini). Sign up today for Early Bird Pricing! 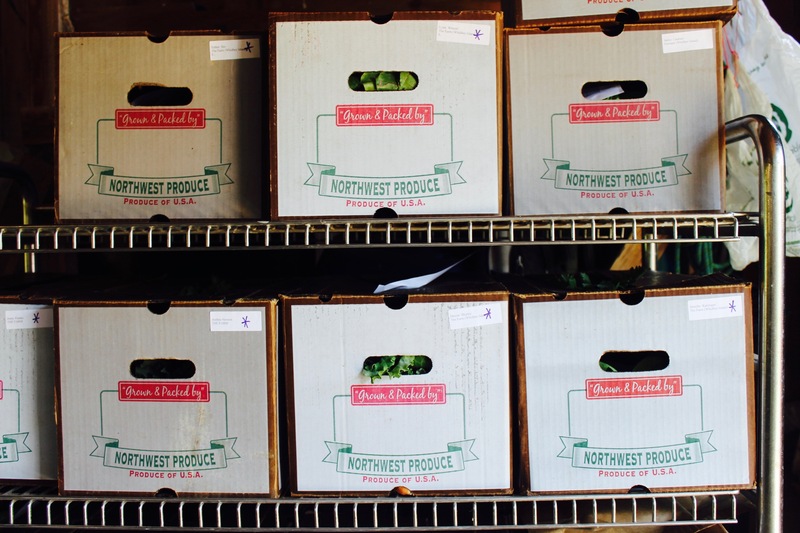 We currently have 6 pick-up sites, 4 in Seattle (U-District, Columbia City, Greenlake, Ravenna) and two on Whidbey Island (downtown Freeland and on the farm in Clinton). If we have sign-ups for 6 total shares we will new pick up locations. Recruit your friends! 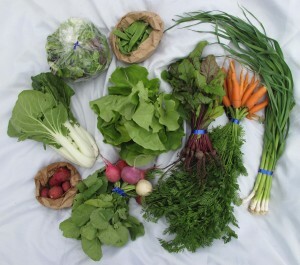 Sample SPRING Box: Carrots, peas, lettuce, radishes, salad mix, potatoes, bok choy, baby beets, green garlic.